Copper Creek Villas & Cabins are currently still under construction and are scheduled to open their doors July 17 at Disney’s Wilderness Lodge. At this resort, the comforts of home and the wonders of the wilderness are truly rooted in the magic of Disney. Inspired by the rich history of railroads and mining throughout the Pacific Northwest, the Copper Creek Villas & Cabins pride themselves on their rustic elegance, marrying cozy touches with modern designs to create a perfect tranquil retreat for families. Once open, Copper Creek Villas & Cabins will be the 14th Disney Vacation Club development and the second at Disney’s Wilderness Lodge, and its 184 nature-inspired vacation homes offer the widest range of accommodations found at Walt Disney World Resort, including Deluxe Studios, one- and two-bedroom Villas and even three-bedroom Grand Villas, which sleep up to 12. Each unit is carefully designed with today’s families in mind, with one-bedroom villas and larger offering the added convenience and comforts of home, including well-appointed kitchen areas for home-cooked meals, expanded storage space for stowing belongings and private patios or balconies with scenic views. With natural-wood touches and the sense that you’re staying in the heart of the wilderness, the resort is perfect for families who want to feel like they’re “just around the river bend” from Magic Kingdom Park. Additionally, Copper Creek Villas & Cabins is scheduled to include 26 all-new waterfront cabins nestled along the shores of Bay Lake. Sleeping up to eight and featuring two bedrooms, two bathrooms and large dining and living room spaces, the cabins’ floor-to-ceiling windows, exposed wooden beams and interior-exterior fireplace bring the beauty of the great outdoors inside, and offer plenty of room for families. Disney Vacation Club Members will have the first chance to purchase a real estate interest at Copper Creek Villas & Cabins beginning on March 8 for those in registered jurisdictions, with general sales slated for April 5. As with all Disney Vacation Club resorts, Villas are often available for rental by non-Members. While staying at Copper Creek Villas & Cabins, Members and Guests will have shared access to all of the activities and amenities located just steps away at Disney’s Wilderness Lodge. Located at the water’s edge, the recently opened Geyser Point Bar & Grill offers an open-air lounge overlooking picturesque Bay Lake. The menu highlights an array of flavors from the wilderness, including bison burgers with Tillamook cheddar cheese and a house-smoked salmon BLT with lemon-caper mayonnaise at the quick-service window, while the lounge offers small plates, craft beers and signature cocktails. 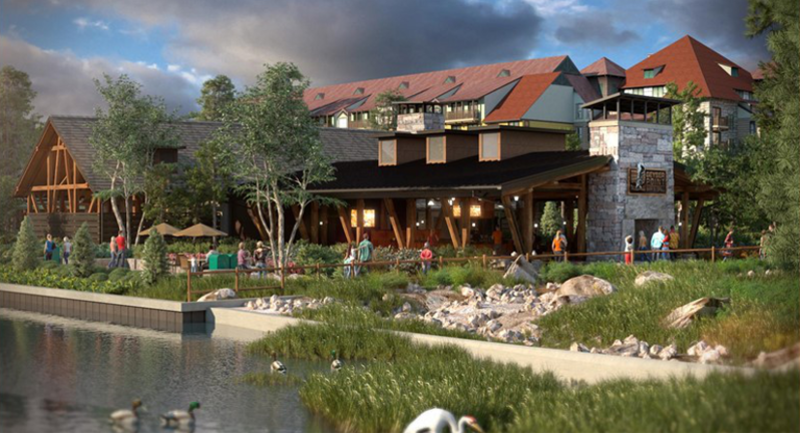 Roaring Fork, the resort’s quick-service restaurant, is currently undergoing refurbishments and will reopen later this year with a refreshed look and expanded outdoor seating. Those who are looking to be pampered will be able to enjoy pool-side manicures, pedicures and hair services at the all-new Salon by the Springs, occupying the space formerly operating as Trout Pass Pool Bar. A brand-new sports court, BBQ pavilions and a refurbished fire pit and movie areas also join the lineup of resort amenities slated to open this summer. 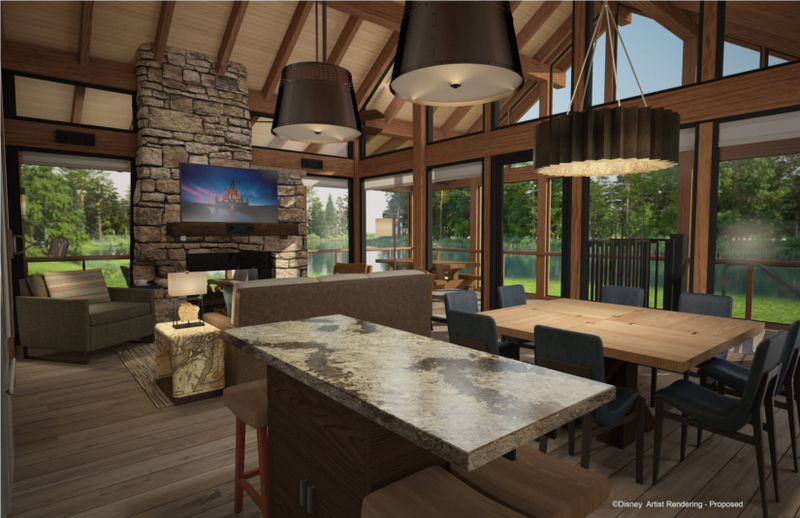 Scheduled to open later this summer, Members and Guests will be able to enjoy the laid-back relaxation of the all-new Boulder Ridge Cove pool, part of Boulder Ridge Villas at Disney’s Wilderness Lodge, which replaces the former Hidden Springs Pool. For more information about Copper Creek Villas & Cabins, please visit DisneyCopperCreek.com. PHOTO/RENDERINGS: © 2017 Walt Disney World Resort. All Rights Reserved. The cabins on the lake look beautiful, but I'm confused by the first image and what that is. Is it one of the converted hotel rooms at Wilderness Lodge? Studio is my guess for first pic. Grand villa most likely the last pic. Studio pic 1. Grand villa pic 2. Geyser Bar pic 3. 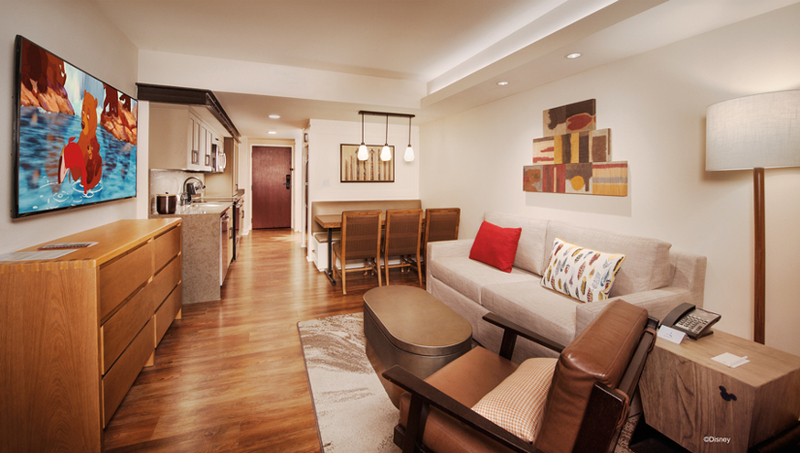 First image is of the main living space and kitchen in the 1 & 2 bedroom units. Studio is not pictured. That kitchen lying flat along the wall of the entry opposite the bathroom will be very awkward to use. Shame they couldn't fit in something a bit more wrap around as I do use the kitchens often.